Sri Rama Navami festivals is one of the most important festival at the Bhadrachalam Sri Rama Temple is dedicated to Bhagavan Sri Ram. 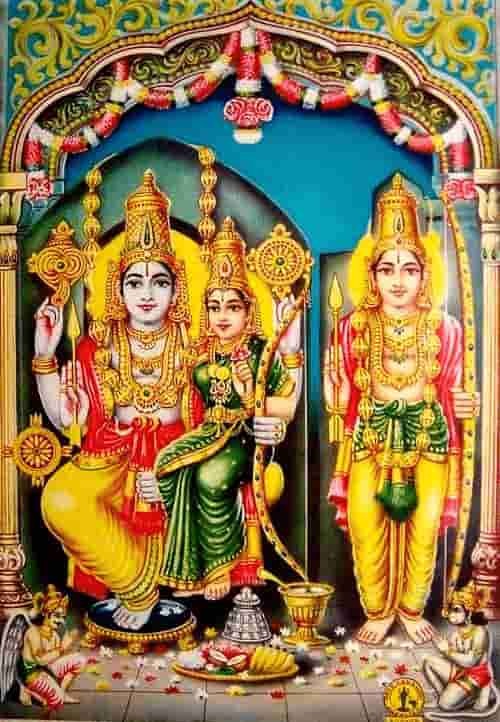 Bhadrachalam Sri Rama Navami 2019 date is April 14. The temple is located at Bhadrachalam in Khammam District in Telangana. Sri Rama Navami is celebrated on every the Chaitra Shukla Navami, ninth day during the waxing phase of moon in Chaitra month as per Telugu Calendar. The day coincides with 'Punarvasu' – the Janma Nakshatra (birth star) of Lord Sri Rama. The Kalyana Mahotsavam of Sri Rama with his consort Sita is celebrated on the holy occasion. This divine festival is celebrated in a resplendent manner amid chanting of hymns by priests in Kalyana Mandapam of the temple. Thousands of devotees congregate to witness the festival. The kalyana mahotsavam is celebrated on the holy occasion between 10 am and 12.30 pm and the sacred Talambralu showered on the deities exactly at 12 noon.